WENDY TAYLOR was one of the first artists of her generation to “take art out of the galleries and onto the streets”. Her impressive range of large-scale, site-specific sculptures total over seventy. The well-known Timepiece at Tower Bridge and Octo in Central Milton Keynes are both Grade II listed. 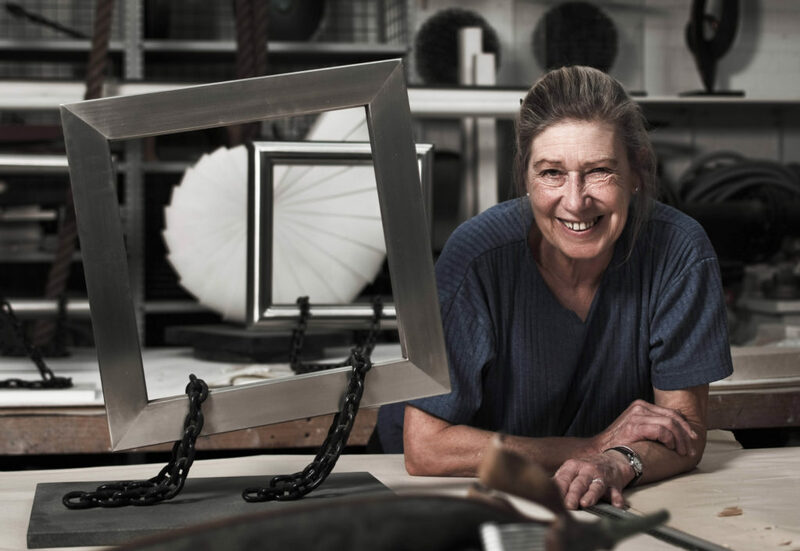 Examples of her work are represented in public and private collections around the world. Her work is that of someone who is passionately interested in art as a means of communication: all her work is appropriate to the site, the occasion and the raison d’être of the commission. She was made a CBE in 1988. I have exhibited in over 100 group shows between 1964-81 and although work has continued to be exhibited since 1981, I have chosen to concentrate on working in the field of commissioned sculptures. ‘Wendy Taylor’ written by Edward Lucie-Smith. Published by Art Books International. Available on Amazon. Victoria & Albert Museum, London. Arts Council of Great Britain. British Council International Travelling Collection. Leicestershire Education Authority Collection for Schools and Colleges. Greater London Council Golder’s Hill Park, London. Borough of Camden, London. Southern Arts Association. P & O Shipping Lines. City of Christchurch Art Gallery, New Zealand. Guildhall of St. George, King’s Lynn, Norfolk. Ulster Museum, Ireland. Royal Palace, Qatar. World Trade Centre, London. Gordon Lampart Collection, Eire. Leicester Museum, Leicestershire. Dudley Museum, Dudley. Lunds Museum, Goteborg, Sweden. Geffrye Museum, London. Ipswich Museum, Suffolk. Irish Museum of Modern Art, Dublin. PepsiCo Collection, New York, USA. The Henry Moore Institute, Leeds. Bronze Medal, Arc Art E.S.A.B. ‘Art and Work Award’ for corporate art collection, won by B.O.C. Timepiece St Katherine’s Dock, London. Roundacre Improvement Scheme Phase I Basildon Development Corporation, Essex. To include underpasses (shape, tiling design etc. ), paving, layout and landscaping.